Why a King James ‘only’ movement? The King James Bible is an absolutely beautiful translation. Its language and use of the Hebrew and Greek texts is one of a kind and stands out high above nearly all other translations. The translation is exquisite and graceful, poetic and ancient sounding, Christ magnifying and full of grandeur and splendor. It is a true translation and worthy to be called the word of God. But aside from this, there is a movement which is strange and totally opposite to the text it claims to represent. 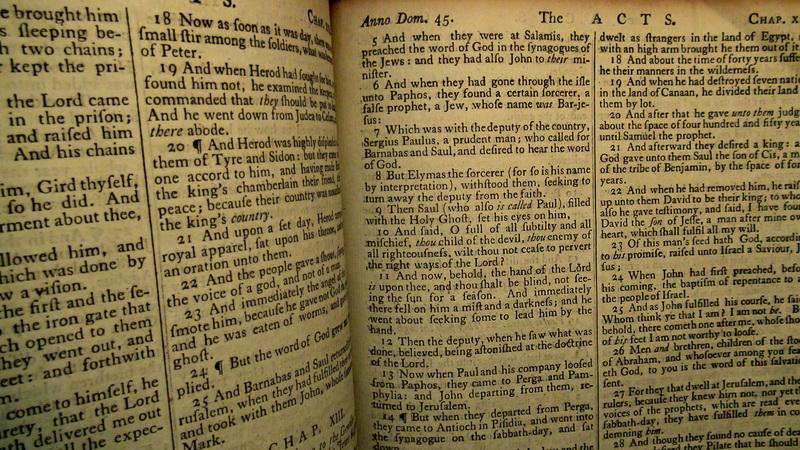 The KJV only movement is embraced by many and is often agressive in attitude and forceful and totally rejective of other translations and even esteems the KJV text above the Hebrew and Greek texts. I believe this movement is a huge error. 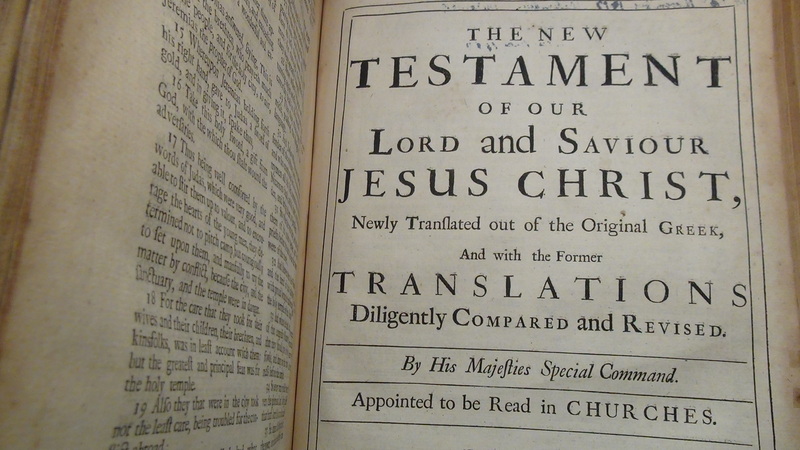 There are other old translations which are true and good also, the Tyndale New Testament, the Coverdale Bible, the Geneva Bible, and more. Should we reject them too? It seems that something that could be beautiful and good has been clouded over greatly by a movement which has little actual clear reasoning or openness to other translations of scripture. So, it seems odd that many people today embrace the KJV only movement, and since there is not one verse in the entire cannon of scripture that claims that English people are to be subject ‘exclusively’ to a translation that would be set forth in 1611 in Olde English, the movement has little Biblical support. I can understand the worries that many have today regarding modern translations and the corruptness that can be found in many of them. But does that mean we are to cast away any goodness that can be found in other translations? I think not. After all, the King James only movement is inconsistent with itself since the original 1611 King James Version (Authorised version) is not the same as those in the shops today. The original 1611 version had the apocrypha in it and did so until the 19th century when it was edited out by certain publishers. So what then is the King James only movement if its followers do not read the actual original unedited Authorised Version? If only we could just read the King James Bible without having this cloud of extreme KJV onlyism over our heads, then we could see the beauty of the KJV and enjoy its beauty. "Apocrypha", "King James Bible", "King James Only movement", "Tyndale New Testament"
This entry was posted on January 15, 2013, 1:55 PM and is filed under Christianity, The Bible. You can follow any responses to this entry through RSS 2.0. You can leave a response, or trackback from your own site.